This cushion is such a lovely vibrant colour and would make a nice addition to any sofa or bed. I'm really loving this mustard colour recently and I'm trying to incorporate it into my living room more and I think this would be a good way to start. The copper lantern is a really unique item. Pop a candle in there and it would make any living room or bedroom look cosy. This vase is an absolute bargain. For only £2.99 you can pick this up, I feel like it would be great for your blogging backgrounds too! This pot would be perfect for your table. It's really unique and I haven't seen anything like this before. With a pretty little plant in, it would make a really lovely addition to your home. COPPER ALERT. Let's be honest, we all love a bit of copper and this copper tea light holder is just the sweetest thing. I fell in love with this cushion cover as soon as I saw it, it's perfect. There's some gorgeous and bold colours in it and the flower pattern is really unique and different. There's something about it that I can't help but love. This frame is my favourite thing I saw on the H&M website. Everything about it is just adorable! 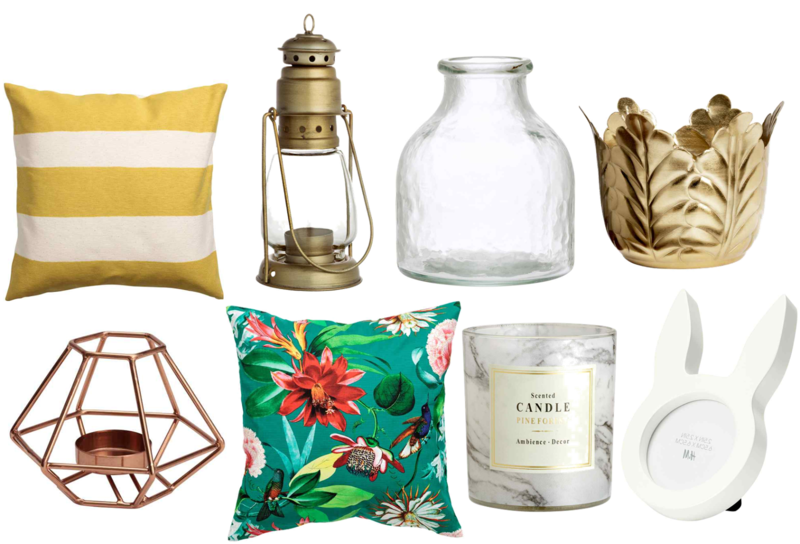 Have you picked up anything from H&M home recently?